A school student in Lucknow might be facing a tough time choosing between Science and Arts, a 35 year old marketing professional in Mumbai might want to change jobs, but not know where to start. Both need a Career Counsellor, but to fulfill very different goals. Even though there are several reasons behind people needing Career Counselling, one quality that can be found in almost everybody who needs a Career Counsellor is a desire to bring about a change, be it in their studies or in their career. In most circumstances, the reasons behind people visiting Career Counsellors revolve around doubt, conflict or discomfort regarding their education or professional life. For example, you might be confused as to whether a particular stream/career is correct for you (doubt), or you might be equally interested in and qualified for 2 careers/streams (conflict) or you might have recently realized that the stream/career you’ve chosen is not as suitable for you as you initially thought (discomfort). A Career Counsellor understands you and tries to eliminate these feelings of doubt, conflict or discomfort from your decision making process, so that you can choose the path that is ideal for you. Sometimes, people visit Career Counsellors only to check whether they’re on the right path or not after having already made important career decisions. This helps them reinforce their beliefs and instills them with self – confidence and self – awareness as well as provides them with an honest viewpoint on the progress they’ve made thus far. The general and most common situations and reasons when people need the services of a Career Counsellor are mentioned below. Do you need to make an education or career related decision in the near future? Most people require a Career Counsellor when they need to make a decision related to their education or their career. For example, you might have to choose whether you should opt for Science, Arts or Commerce, or you might want to decide whether Aeronautical Engineering is better for you or Mechanical Engineering. Not only that, but as a working professional, you might need to make a decision regarding that new job offer, should you accept it or not? Or maybe you need to decide whether you should actually quit your job and start that business you’ve been thinking about since so long. 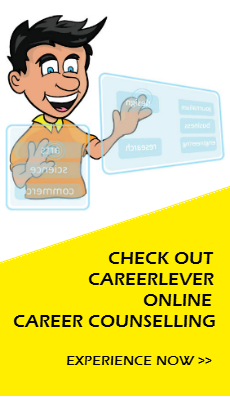 A Career Counsellor will always prove to be helpful while making decisions as he/she can provide you with an expert opinion on your fit with your various options as well as give you insights regarding the consequences of the different choices you can make. This will help you gain more clarity with respect to your options and it will subsequently become easier to make the decision. Are you unhappy or discontent with your current situation? Discontent with regards to your current situation can be due to a variety of reasons. For example, you might not be happy with the low scores that you have been receiving in school/college, or you might realize that the stream/course you’ve chosen is absolutely wrong for you. As a working professional, discontent might creep into your professional life for a variety of reasons. You might become bored of your job or even realize that you can’t deal with this particular career. Not only that, but you might even feel ‘stuck’ in a particular career, leading a monotonous life without any growth or motivation. In situations where you’re not happy with your current student or professional life, your progress depends on your ability to initiate a change in the right direction. But in most circumstances, people fail to put their finger on what is making them unhappy and how they can change it. This is where a Career Counsellor comes in. A Career Counsellor can help you discover the reasons for your discontent and usher in a change by changing your outlook on things and providing you with the right advice. For example, a Career Counsellor might help you understand whether you’re unhappy with just the job or the career itself, or he/she might suggest ways through which you can correct past mistakes. Do you believe that you’re fulfilling your potential? Many people come across situations where they feel their potential is not being exploited. This can be related to their career or even their course. For example, you might realize that there is more to you than your 9 – 5 job and you want to explore your creative side. Or you might end up realizing that a B.A in Fine Arts is good, but you also have the aptitude for Engineering, where you could be earning a stable income while practicing your art as a part – time profession. Career Counsellors can be extremely helpful in such situations as they will work with you to come up with ways through which your untapped potential can be put to good use. He/she might encourage you to take up extra classes/training, to find a mid – way between your other talents and current course/career etc. Not only that, but Career Counsellors’ testing tools often end up revealing hidden potential in you, which even you might be unaware of. Have you recently faced a setback? Setbacks in your studies or career are extremely difficult to deal with and are often followed by a feeling of disappointment and disorientation. For example, as an aspiring Engineer, you took up Science, worked extremely hard but didn’t manage to get through an Engineering college. Or as a working professional, maybe you worked really hard throughout the year but didn’t get that promotion or worse, you’re being laid off. In both these situations, apart from the disappointment that comes along with the setback, there is a fear of what to do next. Career Counsellors not only help you deal with the disappointment, but also help in boosting your confidence, morale and self – belief by encouraging you to adopt a positive approach towards the situation. Rather than focusing on the setback, it becomes important to focus on what caused them, and how those reasons can be avoided in the future. For example, you might have been ignored for that promotion because the manager sees you as a person who lacks leadership skills. To counter this, the Career Counsellor might advise you to look for instances and initiate actions that improve your ability to lead a team and take decisions. More importantly, Career Counsellors guide you as to what you can do next after a setback. For example, you might want to drop a year and apply to engineering colleges again after more preparation, or you might consider changing your career stream completely. The Career Counsellor will help you identify the pros and cons of each decision and advise you regarding the best way forward.